As a finale to our "City Streets" show we've invited a group of local artists to create work inspired by our neighborhood and the 94109 zip code. 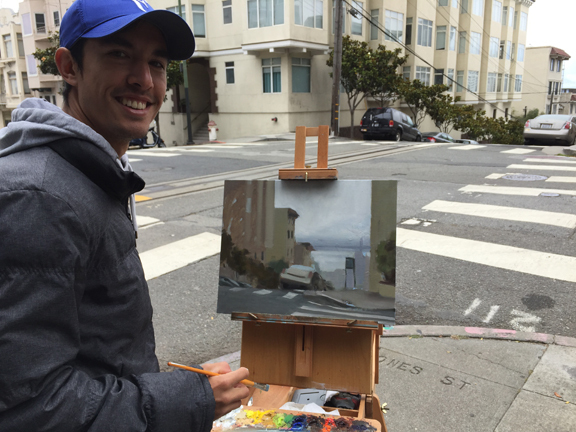 Some pieces were painted on the street, en plein air, and others were created in the studio; all pieces were completed in the past month: lots of fresh art! It's always interesting to see what about the 'hood inspires people, and how they choose to express that inspiration. We are never sure what we will have in the show until the deadline, so check back to see what is new, or come by to see the work in person, July 10th - 18th. The opening reception is Sunday, July 10th, 3-6 pm.